Fairmount Animal Hospital opened its doors in August of 1965 on West Genesee Street, the result of much hard work by Dr. Richard Grambow and his partner, Dr. John Sonne. Dr. Granbow had been working as a vet in Mattydale when he began leasing an old carriage house, which was once part of the James Geddes farm. Mr. Geddes was one of the principal engineers involved in the building of the Erie Canal. In the beginning, the animal hospital was in the lower level, while Grambow's family lived on the upper floors. In 1985 Dr. Grambow sold the practice to Dr. Sonne. Dr. Eileen Fatcheric and Dr. Suzanne Losito purchased the Hospital from Dr. John Sonne in July of 2002. Dr. Fatcheric worked at the Hospital as a vet assistant before attending veterinary school. She has practiced veterinary medicine at FAH since 1992. Dr. Losito has practice veterinary medicine at at FAH since 1988. 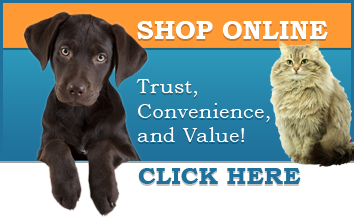 Both Dr.Losito and Dr. Fatcheric studied veterinary medicine at Cornell University and graduated together in 1988. In 2012 the practice moved a few doors down to its current location which a 10,000 square foot state of the art facility, continuing the tradition of providing pets with exceptional quality veterinary care.  Fairmount Animal Hospital operates on an appointment schedule. Our Client Care Representatives will attempt to accommodate all requests to the best of our ability. Emergencies are always given priority attention. If you feel you have an emergency with your pet, please call us or come to the hospital immediately. If possible, it is best to call before coming in so that a staff member can advise you on your particular emergency and so we can be better prepared to handle your pet's urgent care. We are open for urgent care from 6pm-10pm Monday-Friday, 2pm-10pm Saturday and 10am-6pm Sunday. During urgent care hours, we do not operate on an appointment schedule. Pets will be seen in the order they arrive. However, extreme emergencies always receive priority attention. If you need immediate care when we are closed, we recommend the Veterinary Medical Center located at 5841 Bridge Street in East Syracuse. They are open 24 hours a day, 7 days a week. The office will be closed in observance of the following holidays: New Year's Eve (closed at 3pm), New Year's Day, Memorial Day, Fourth of July, Labor Day, Thanksgiving, Christmas Eve (closed at 12pm), and Christmas Day. We are a member of a very elite group of Veterinarians. AAHA accreditation assures you that our care is recognized as among the highest in the industry. We are one of the 15% of small animal hospitals accredited by AAHA. This is a very special and professional distinction.